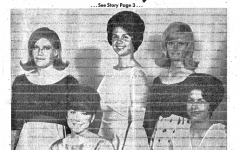 This is a screen grab of The JTAC March 11, 1969 issue. 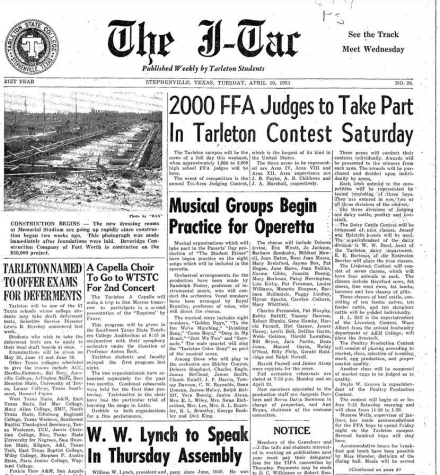 In 1899, the John Tarleton Agricultural College opened its doors. 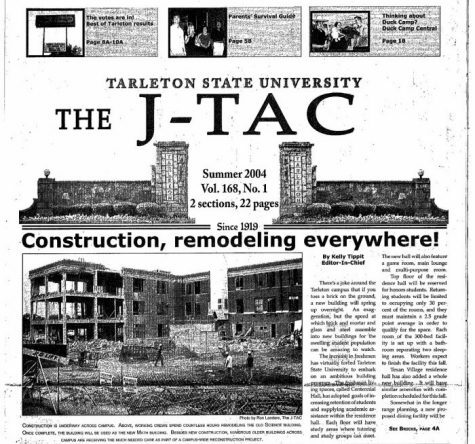 In 1919, just 20 years later, The John Tarleton Agricultural college published the first edition of The JTAC, the official student-run newspaper of Tarleton State University. 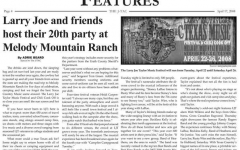 Now in 2019, The JTAC is celebrating 100 years of being the official student-run newspaper of Tarleton. 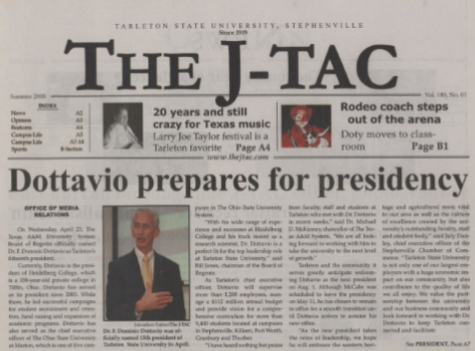 Over the course of the 100 years of being in operation, The JTAC has recorded and reported on the news at Tarleton. 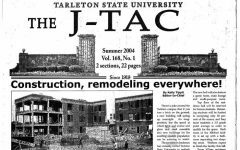 The JTAC covered the change from John Tarleton Agricultural College to Tarleton State University and all of the other changes which have happened on campus. 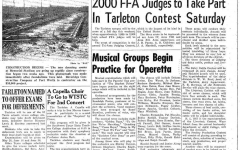 Which encompasses Tarleton events like the change from Jr. Aggies to Plowboys to Texans and the change of female athlete from Texan to TexAnn and their eventual change back to Texan. The JTAC has been here to report on events that have happened which are relevant to students. During the centennial year of The JTAC, we will be highlighting significant and interesting stories which we have reported on during the course of our 100-year operation. All across the country on Jan. 30 college newspapers celebrated Student Press Freedom Day. The goal of Student Press Freedom Day is to highlight and recognize the work that student journalists do all across the country on their respective campuses. 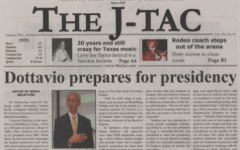 Through Tarleton’s history, The JTAC has been a student-run newspaper. 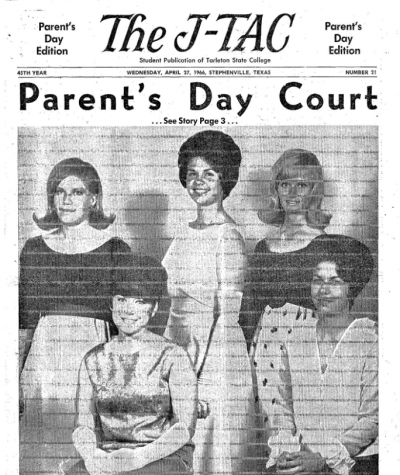 Regardless of the response to changes, scandals or opinions, The JTAC has been there to record it throughout the years and I think there is no better way to celebrate Student Press Freedom Day than by celebrating The JTAC and the 100 years that it has been in constant operation. 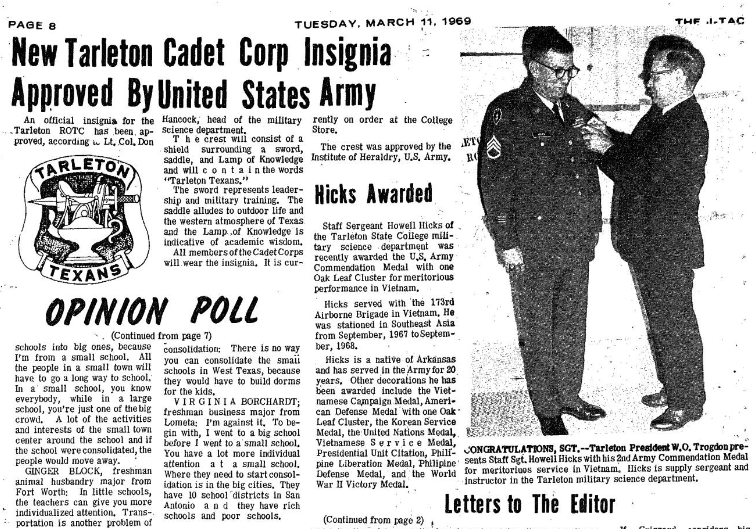 The story in the image on this page was reported 49 years, 10 months and 9 days ago when the U.S Army first approved the insignia for contracted Army ROTC cadets for Tarleton. This is the same insignia which is still used by the Corp of Cadets today. The JTAC will be hosting several events throughout the upcoming months to celebrate our centennial year. 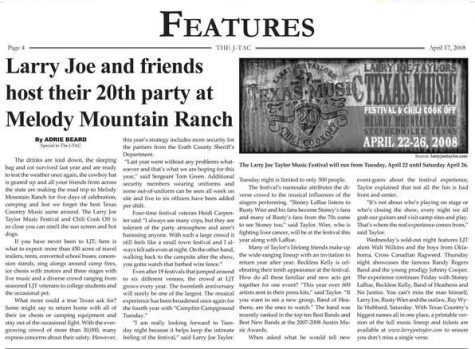 Make sure to keep your eye on our social media and print editions for the latest updates.